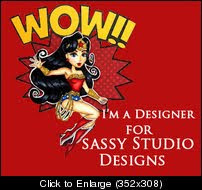 Stamping Tink: Sassy Studio Designs Sponsorships! Gotta apologize for being so late in getting this up. I thought for sure it was set to be published but ended up in my drafted section. 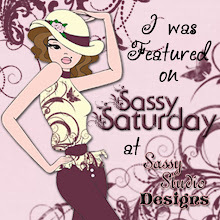 Sassy Studio Designs is sponsoring two really great challenges this week. One is for ATC's With Attitude and their theme is spring. The other is Chocolate, Coffee and Cards and they had a gorgeous picture for inspiration. 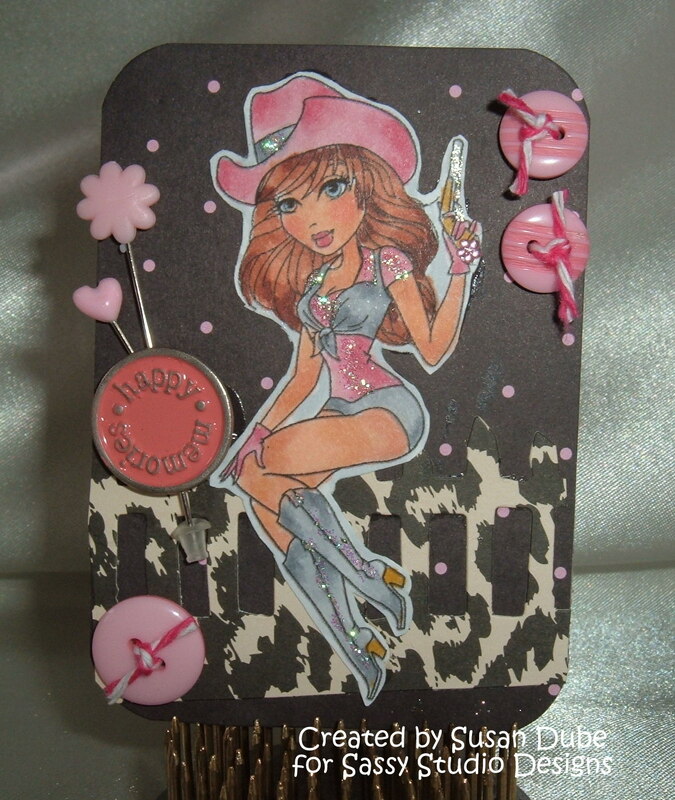 I decided to combine them and use Cowgirl Debbie and think she rocks! Here's a couple of side views of her. I added a different card stock to the back since I didn't want it to just be white. I had a lot of fun playing along with both of these challenges and think I may look for some more ATC challenges. A new fun experience! 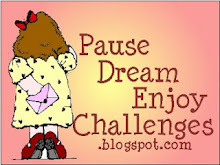 Come on over because there's still time to join in the fun challenges! Take a walk on the wild side. 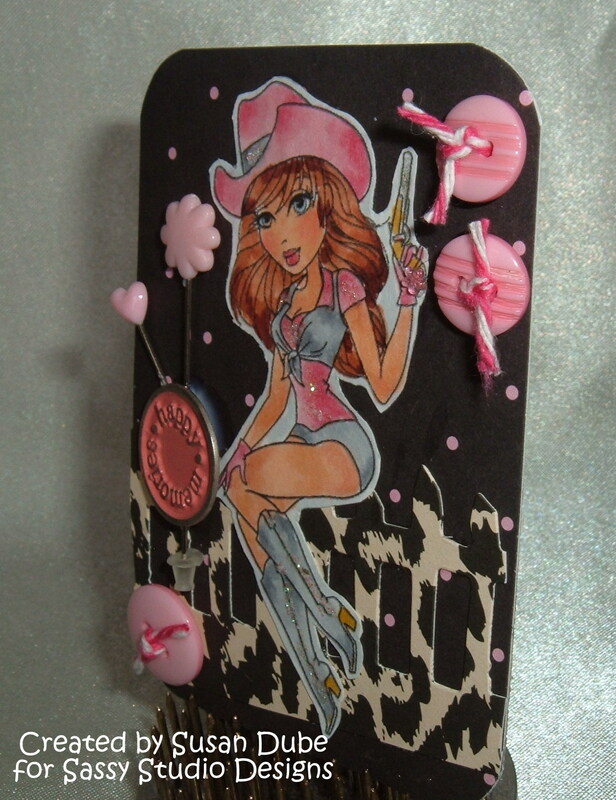 My Cowgirl Debbie will protect you! Great job, Susan. The buttons and sparkle are a really nice touch. Susan, I absolutely love this! Great coloring and sparkle. Love the added buttons and brad. 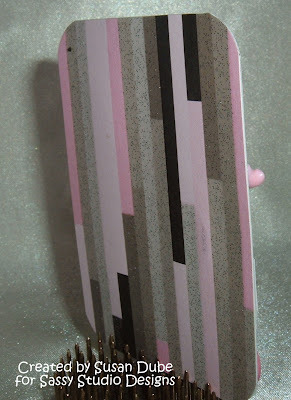 Great paper for the fence and the back looks awesome. How cute is that!!!! 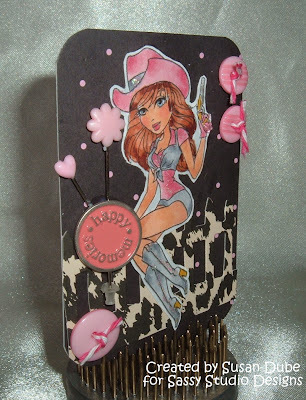 I love the 'spotted' picket fence she is sitting on! ATC's are fun!! Love yours!! 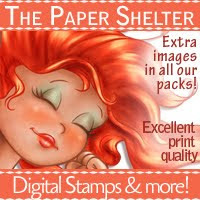 and that image is so fun, I think I need her soon! Your ATC turned out beautifully!! Love the way you colored your image. Thank you for coloring along with us at Chocolate, Coffee and Cards. that's so cute, I love that cowgirl. Makes me wanna play cowgirl dress up with the hubby!